As we approach the second ever United Nations World Bee Day on Monday 20 May, Revive explores the complex world of bees in WA. European H oney Bees were introduced to Australia nearly 200 years ago to help pollinate crops introduced by settlers. These days, commercial beekeepers continue to help with crop pollination, while also turning out some of the best honey in the world. This is by no means a straightforward process, however, as issues such as deforestation and native bushland clearing, as well as controlled burning, have left our commercial honey industry feeling the pressure. So much so, that Dr Liz Barbour, Chief Executive Officer of the Co-operative Research Centre (CRC) for Honey Bee Products, said there has been little new honey collected commercially this year in Australia, and many honey bee colonies are currently living at their baseline limit – the honey that is collected for human consumption is the excess storage honey that bees produce. “At the moment we haven’t had a nectar flow, so beekeepers will need to feed the bees to keep them alive,” she said. “So people are feeding their bees with sugar solutions and pollen. 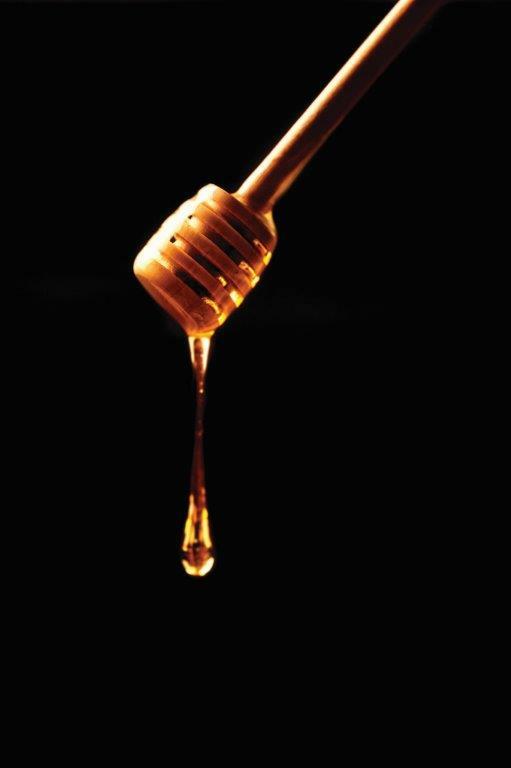 “When this happens, no honey can be harvested because it’s an adulterated product. Honey only comes from the nectar of a flower, or they can rob the nectar that comes off the back of an aphid. Liz explained that as bees pollinate and collect nectar, the process to make honey needs mature age forest and vegetation. When forests are cleared or burned, the flowering process starts all over again, and often bee health isn’t taken into consideration when forestry planning takes place. While Liz agrees that logging does need to be done in some way, she also believes that bees can be accounted for as part of the plan. “Bee survival in Australia is at a turning point,” she said. “For so long, Australia has provided a plentiful home for all its bees. This is rapidly changing with the clearing for agriculture and mining, spreading housing estates and the WA Government plan to set the burning of the southwest on a six year burning rotation. “A commitment to a burning regime of every six years will mean the landscape we have known, and our bees have relied on, will be dramatically changed,” she said. “To be on a six year burning cycle means the plants will never recover, they never become reproductive. For a tree, even for first flowering, you need at least seven years. We’re looking for mature forests. In WA, we also have around 800 known species of native bees, which have different characteristics and needs to commercial honey bees. Dr Terry Houston, Research Associate at the Western Australian Museum, has spent 50 years researching Australian native bees. He also worked as the Curator of Insects at the Western Australian Museum for 34 years. Terry said that native bees are important for pollination in many of our native plants, and that our ecosystem would not be the same without them. For example, the Morrison Featherflower, a popular native flower in dried floral arrangements, can only be pollinated by one species of native bee in the Perth region. Without each other, they simply would not exist. Some of our native bees live in very specific habitats, making them even more vulnerable to loss of population. Terry said that a reduction in numbers of native bees could have a huge effect on our biodiversity. “Their habitat is disappearing fairly steadily. There are some [species] that occur only down in the south west corner that I’ve been looking at lately. Contrast them with others that have an Australia wide distribution and which look pretty safe for a long while yet. “If you’ve got the habitat there, but for some reason or another knock out the bees through aerial spraying, pollution or too many fires, then the plants will not be pollenated effectively and they will produce less seed and perhaps not such viable seed. So populations of certain types of plants will be expected to diminish and possibly even die out. A common question asked in regards to bees, is do honey bees and native bees compete with each other in the wild. Considering modern agriculture, both honey bees and native bees are vital to our ecosystems, but in the wild, researchers are still uncertain of the implications for some of our native species. While Terry said it’s obvious that native bees can hold their own in many cases, honey bees do tend to work longer and harder, meaning there could be competition if there were a limited number of flowers. He believes there is still research to be done in this area, which is often difficult to study, but said that an increased concentration of honey bees could affect the population of native bees. However, researchers are constantly making new discoveries about our native bees. Even just recently a species thought to be extinct was discovered in banksia woodland just north of Perth, collected by Juliana Pille Arnold, a PhD candidate from UWA’s School of Biological Sciences and CSIRO, as part of a joint study. Dr Liz Barbour believes this area to be some of the most precious for bee populations. In Perth’s CBD, one Uniting Church WA congregation is using beekeeping as part of its missional service in sustainability, but also throughout their outreach programs. In 2017, Uniting Church in the City (UCIC) built its first hives with the help of the WA Apiarist Society. The hives live on the roof of the Wesley Quarter, and the bees do most of their ‘work’ in Kings Park, as well as other parks around the city. Neil Starkie, General Manager at UCIC, said it was important the project nourished the congregation’s missional activities at every step of the journey. Working with the local nonprofit organisation, People Who Care, UCIC have engaged people in their Level Up program to help build the hives and design the labels for the honey jars. In the future, it is hoped the program will also be incorporated to give people skills in collecting the honey, filtering it and getting it ready for sale as Wesley Quarter Honey. UCIC’s sustainability projects, which also involve solar panels, water tanks and end of trip facilities for cyclists who work in the building, saw them win the Property Council of Australia’s Sustainability Award in 2017. While the commercial honey bee industry works hard to keep out various diseases that would affect our hives, Dr Liz Barbour doesn’t recommend beekeeping as a hobby, and certainly not without lots of education on the issues that affect WA bees – specifically the risk various diseases entering WA could have on the whole bee population, local honey production and the agriculture industry. She said the best way to support bees in WA is to make protecting the forest a high priority. “What we’re trying to do is work with tourism to increase the appreciation of the forest and unique honey it produces,” Liz said. “We would prefer that the logging happened in plantations, rather than in native forests. Dr Terry Houston agrees that we need to protect our bushland as much as possible. “That’s the critical thing, trying to keep our native bushlands in their original state as much as possible. The bigger their reserves, the safer they will be. When we cut them up in to small areas, they become islands surrounded by inhospitable habitat. Then [bees] can’t fly from one to the other, so if a big fire wipes out a small bushland area, it may never be recolonised once the bushland grows back. He said there’s a lot to love about bees. “Bees have some human characteristics, particularly the social ones. They live in colonies, they display quite a level of intelligence, and they communicate. Honey bees can tell their colony mates where to go and what to look for in terms of floral resources. They’re builders, they sometimes build very neat little structures. You can keep our bees happy by growing a garden which includes native plants that flower all year round. Click here for ideas.